What are the best ways to measure the performance of your business? How do you measure the performance of your business? While the profit and loss account shows important evidence of your financial results, there are other measurements that can provide alternative assessments of the business. Using key performance indicators (KPIs) can give you greater insight into how your business is performing and help you in making better and more informed decisions. But you need to select indicators that are key to attaining your business objectives. One approach is to measure your business performance using accounting ratios, which compare one aspect of a business against another. For example, you might compare the cost of the goods you’ve sold against the value of your stock to discover your stock turnover, a measure of how quickly you convert stock to sales. Accounting ratios make it easier to understand and interpret financial statements so that you can get a deeper insight into your business’s performance, identify actual or potential problems that you might otherwise not be aware of and make informed plans for the future. how your profitability compares with that of other businesses in your sector. Accounting ratios make it possible to interpret your financial data in these ways. They are useful tools for planning and forecasting, and also for making comparisons with other businesses. Potential lenders might also want to take a closer look at some of your key ratios. There are many different types of ratio. Some of the more common ones are illustrated in the panel overleaf. Besides these, most businesses will also need to use specific ratios tailored to their particular needs. 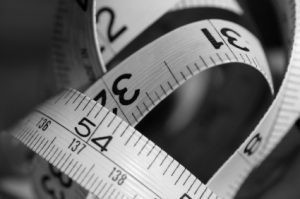 These KPIs are your essential measurement tools for evaluating the performance of your business. Measuring KPIs at regular intervals over a period of time helps you to make comparisons and identify trends. You can compare them with results from previous accounting periods and against competitors’ and industry averages. When making these comparisons, however, be sure you are comparing like with like. Take care when you interpret ratios. An increasing current ratio could indicate an improving picture for your business but, equally, it could show that you’re carrying excessive stock. The important thing when there is a change in a ratio is to identify the underlying cause(s) and take appropriate action. We recommend preparing management accounts on a regular basis, which will help you keep track of your key ratios. We would be happy to help you identify the best KPIs to help you monitor and achieve your business goals. It is also helpful to use indicators that define and measure progress towards specific goals or targets. amount of electricity used per employee or product. It is also important to limit the amount of KPIs you use to a manageable number. There are hundreds of possible indicators and, if you are not careful, you can find yourself monitoring too many and damaging your productivity elsewhere. The secret is to identify and focus on monitoring a few that are key to your business achieving its goals. We can help you identify appropriate KPIs for use in your business and prepare regular management accounts that will provide you with a dashboard to monitor them. We can also help interpret the measurements and plan future actions based on them. When all is said and done, you are in business to make a profit. These ratios help you to analyse your profitability in more detail and compare it with that of other businesses in your sector. This is one of the most commonly-used ratios and a key measure of business success. Having a gross profit margin higher than that of your competitors is a clear indicator of competitive advantage. Changes in the gross profit margin might indicate, for example, that business costs are increasing and that pricing or suppliers need to be reviewed. This ratio shows the level of sales needed to start making a profit. Net profit margin is a useful indicator of performance but because it includes many variables can be difficult to compare or correct. It is advisable to review costs on an individual basis to identify where action might be needed. This ratio shows the level of profit in relation to your net assets, that is total assets less liabilities. Liquid assets are essential for the everyday running of your business. They identify your working capital as well as the funds to repay loans. These ratios help you monitor your liquidity and identify any actual or potential problems. They might also be used by potential lenders to assess your ability to repay. This is a simple measurement to determine whether the business has sufficient assets to cover its current liabilities. Also known as the ‘acid test ratio’, this is the same as the current ratio except it removes the value of stock from current assets. Because it can take time to convert stock to cash, this ratio is a more effective measure of short-term liquidity. Effective debt collection is important for any business. This ratio shows the relationship between debtors and credit sales and shows how quickly your customers are paying their invoices. This ratio shows how long on average it takes you to pay suppliers. It is particularly useful for evaluating potential customers or existing customers requesting extended credit. This ratio measures how quickly you convert stock to sales. A quick turnover is a good measure of efficiency within the business. We would be pleased to advise you on the use of these and other ratios to measure your business performance.